…then God help us keep the republic Ben Franklin said the Founders gave us. As an undergrad political science and history nerd, and political junkie ever since, and as a retired federal investigator and manager with thousands of background investigations behind me, and having worked under seven presidential administrations, I never thought I’d vent about political parties in terms of good and perhaps, evil. Yet, here we are. When I started working for Uncle Sam, after college and a tour in his Army, Nixon was in office and if ever there was a constitutional crisis, it was then. Many decried the man, but respected the office, and in those days, and through the middle years of the Clinton administration, the rule of thumb amongst federal employees of whatever rank was simple: if you didn’t like a president’s politics or policies, you did the honorable thing and resigned. And at my junior grade, nobody wore lapel buttons, sported bumper stickers, or used their position for political causes. Period. Politicization of the government as an institution surfaced, in my view, when Vice President Al Gore tried to do away with background investigations altogether because the White House couldn’t seem to get its appointees cleared (remember Filegate?). To his credit, President Bush did not seem to adopt the Clinton methodologies in running his administration, but it wasn’t long before the same old gang reappeared. During the Obama years, we saw repeated, deliberate departures from the high level of governmental integrity we have a right to expect. Volumes need not be written here to remind people of Eric Holder’s brazenly political stances when heading the DOJ, of Lois Lerner’s antics at the IRS, of Hillary Clinton’s pay-to-play schemes at State, of James Comey’s misuse of the FBI, to name four. Over the past few years, we’ve begun to hear just how deep and pervasive were Democrat attempts to corrupt the FBI and pervert the most sensitive operations of our government when they remade the FISA courts their personal Star Chamber, a platform used to pursue an accused after having invented the accusation. Suddenly, with the blessing of an otherwise necessary court process, administration operatives had cover to ignore repeated examples of Clinton perfidy, yet shine the light on dubious claims of collusion by Trump campaigners. At the time, of course, we weren’t aware of Obama’s attempts to prolong progressive power by attempting to get Hillary Clinton elected while seeking ways to peek into Trump campaign activities. What Obamians accomplished makes Watergate look like boys playing pirates. And Nixon was thrown from office? Now that we know what the Obama administration was willing to do to chill the rights of some people opposing them, we shouldn’t be surprised at how expendable people became when we remember Benghazi. Mrs. Clinton’s congressional testimony to the contrary notwithstanding, the difference Clintonian behaviors made back then set the stage for the second example—one just having played out before the eyes of millions. If Benghazi signaled Democrats’ willingness to callously sacrifice those they put on the front lines, we shouldn’t be surprised by what they were willing to do to Dr. Christine Ford and then-Judge Brett Kavanaugh. Through it all, Democrats kept poker faces when challenged for leaking Dr. Ford’s letter/identity against her will—when such a move was fully consistent with their public strategy to do anything within their power to delay and derail the hearing process. Democrats were even willing to insist that the FBI re-interview Dr. Ford when they had to know such an interview, under oath, would have placed her in serious legal peril. Her misleading statements—to put it as kindly as possible—while under oath before the Senate Judiciary Committee regarding her fear of flying, the reason for the double door on her home, and whether she ever coached anyone about taking a polygraph –would likely have placed her on or over the perjury line, not to mention weakening her overall credibility about Kavanaugh. And then what? What they did to Kavanaugh, we all saw, was equally reprehensible, as they stoked rage amongst #Metoo supporters with innuendo, uncorroborated charges, and outright slander. 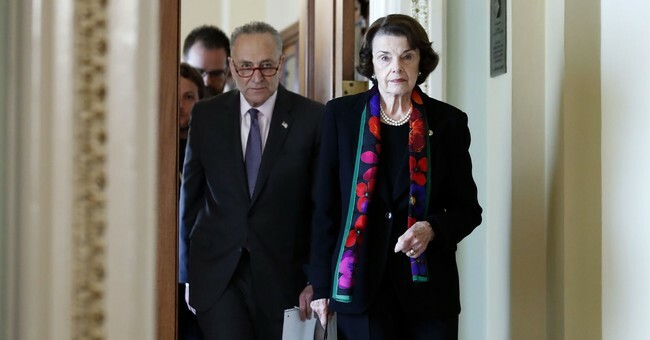 Democrats underlined their view that all women accusers must be believed, no matter the evidence or lack thereof, that a mere accusation was enough to deny one an opportunity to serve. Their official pulpit precludes legal action against them for their heinous behavior, and what a pity. One has to wonder what #BlackLivesMatter adherents feel about mere accusations being tantamount to guilt. Would descendants of Emmett Till and the Scottsboro Boys (and Kengor) join in with the #Metoo rampagers? The lesson is clear: If Progressives—Democrats—grasp the levers of power, they’ll have an even greater ability to do to any of us what they so effortlessly have done to President Trump, Christine Ford, and Justice Kavanaugh. So, say Hello to public bullying/shaming, Star Chambers, Kangaroo Courts, McCarthyism, and Soviet/Nazi style show trials, all coming to a safe space near you. The same kind of unbridled rage Democrats have encouraged for several years now, using so cynically the #BLM movement and now the #Metoo survivors, splatters like acid on the seams of the republic. Can we hear Alinsky’s acolytes laughing aloud about how successful they have been? OR, this November, VOTE for a party and its people who revere the rules of the republic the Founders gave us, who most often choose the course of integrity and decency, no matter what.